A Premier League mismatch saw Champions League contenders Liverpool take on relegation battlers Stoke City at Anfield. A goal fest must have been predicted by many considering Stoke's dismal run in the past few months. But much to Liverpool's despair, the Potters shut down the Reds and managed a 0-0 draw to stay alive in the relegation battle. It was a bore draw with Stoke happy to sit back and defend while Liverpool looked lethargic going forward. 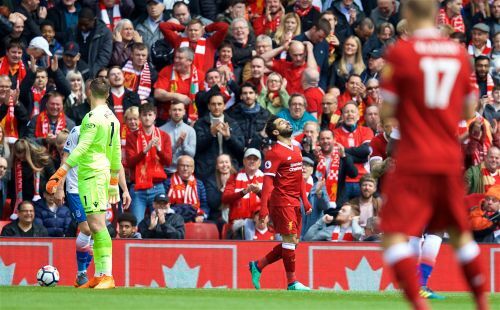 Clear-cut chances were few for both the sides as Mohamed Salah missed a one on one chance in the first half (the best chance of the game) to give Liverpool the lead. Stoke battled on and earned a hard-fought fight. 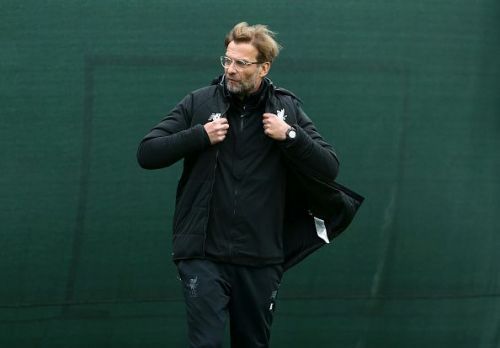 With the all-important second leg of the Champions League semi-final coming up on Wednesday, it was expected that Liverpool would rest as many core players as possible. Though Mohamed Salah could not be rested because of a knock to Sadio Mane, Liverpool did make five changes to the team that beat AS Roma. When the Liverpool team was announced, it looked as if Jurgen Klopp had decided to play in a 3-4-3 formation, with Gomez, Van Dijk and Klavan as the central defenders and Trent Alexander-Arnold and Alberto Moreno as the fullbacks. But Liverpool started the game in their traditional 4-3-3 system with Alexander-Arnold playing in midfield. Danny Ings replaced Sadio Mane in the front three. James Milner and Nathaniel Clyne were introduced in the second half but could not help the home side break the deadlock. But more importantly for the Reds, they avoided any new injury scare ahead of the second leg and will have a number of their first team players fresh and ready for the battle of Rome.